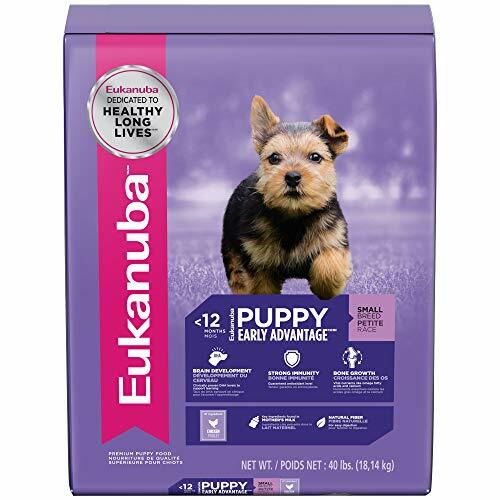 Is Eukanuba perfect for my puppy? Hi again, dog fans! Today we’re looking at some of the key features of some select products in our Eukanuba Dog Food Reviews and Eukanuba Puppy Food reviews. This one might be of particular interest to those of you who’ve got a puppy or dog that’s pure-bred, as Eukanuba offer a vast array of formulas that are crafted especially for specific breeds. First, however, let us give you a few little facts about the Eukanuba brand so that you’ll be able to make an informed and knowledgeable decision about what to feed your fluffy best friend. Why the Eukanuba dog food reviews and Eukanuba puppy food reviews? So…how do I know if my dog is a healthy weight? A, E, C, D, and B Vitamins. Eukanuba are owned by Mars, the international market leader of pet foods. What you may not know, however, is that Eukanuba puppy foods and dog foods are made by IAMS, and have been around since 1969- so, for over 40 years! They have a massive array of recipes for toy, small, medium, and large dog and puppy breeds, as well as an awesome selection of both puppy and senior meals. All of the main ingredients incorporated into their kibbles and chow are traceable back to their sources in the States, Europe or New Zealand, and they specialize in putting real meat at the top of their product ingredients lists. Cool, huh? 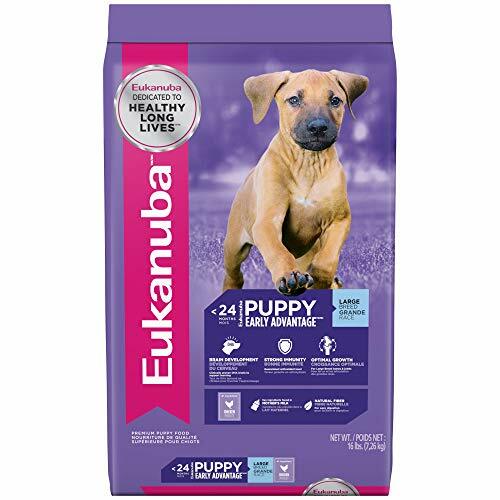 There’s definitely a whole bunch that makes Eukanuba a great puppy food brand. Apart from the broad selection of both soft chow and crunchy kibble options, they operate under really strict quality and safety guidelines. As you may have noticed, this is very much a feature of all the puppy food reviews we’ve got on our site- only the best for our fluffy buddies! If your puppy or dog best friend is competing in shows, you’ll already know that Eukanuba are major sponsors for canine events like the AKC/Eukanuba National Championships, and the Eukanuba World Challenge. Now, that’s seriously fun to watch. 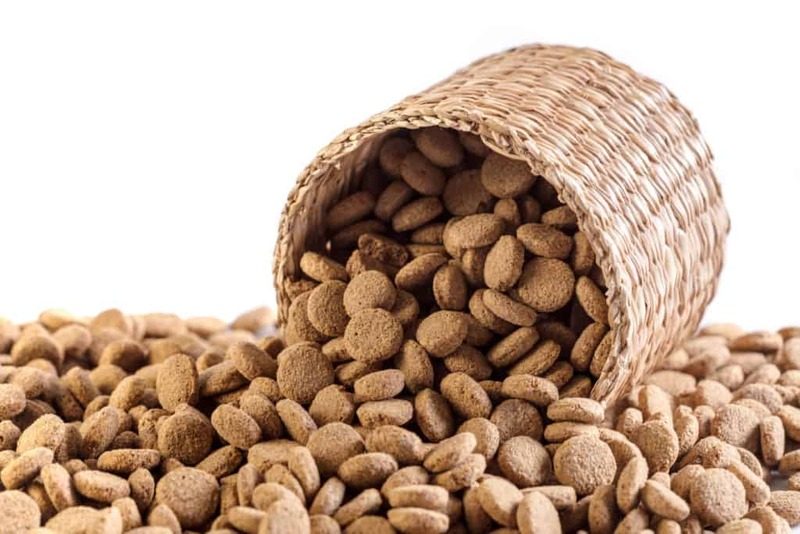 Dog and puppy food-wise, Eukanuba do not manufacture any products that are grain-free, instead choosing to use more easily digestible grains such as rice, and sorghum, the latter of which is an awesome source of B vitamins, zinc, and iron. While the dry kibble in our Eukanuba Dog Food Review tends to include fewer (or no) real veggies compared to some of the other brands we’ve reviewed, this is a deliberate move- Eukanuba are very much about giving our puppies a diet that is based on that of their carnivore ancestors. So no pea protein here! We’ve also noted that Eukanuba quite frequently include glucosamine and DHA in their dog food formulas, and L-Carnitine as well, a point that is very much in their favor. That’s an easy question to answer! As you may have noted in our research on different puppy and dog breeds, we’re big fans of brands that develop formulas exclusively to meet the requirements of certain breeds. We love ALL puppy dogs, don’t get us wrong, but we also aim to save you time with our reviews, and breed-exclusive recipes can often be a great way to just know that your puppy or dog will get all the necessary nutrients that he needs for either growth or maintenance. 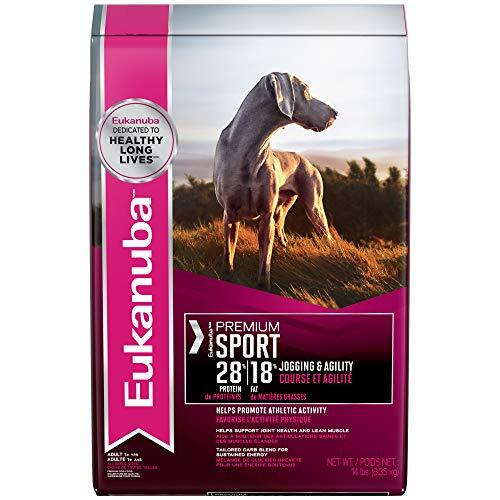 Alongside the fact that all their puppy foods and dog foods are in line with the recommended profiles in terms of protein and fat, we reckon Eukanuba very much have earned their place in our dog food reviews! This puppy growth food is designed for puppies who are going to be anywhere between 5 and 70 lb when they’ve finished growing. So, it’s suitable for those smaller pooches like Dachshunds, Poodles, all the way up to Huskies. Made with cancer-fighting antioxidants that also work for strong immune systems! Made with corn, so not gluten-free. This chicken puppy food’s not limited to any specific breed, but if you’ve got larger pup- like a St Bernard, Great Dane or Mastiff– you’ll want to be feeding him something that’s specifically for giant pups, as this kibble is formulated for breeds with a development period of under 12 months. The next Eukanuba Large Breed Puppy Food Review might be perfect! This puppy food’s more what you’ll be looking for if your puppy is going to grow to be a big(er) boy! It’s a chicken formula that can flexibly be fed to larger puppy breeds like Labs, Rottweilers, and German Shepherds, for up to 24 months. There are heaps of vitamin supplements too, such as E for silky and glossy coats. Corn and by-products can both be found in this kibble. We like that there’s DHA in here, as it plays a central role in maintaining great eyesight, psychomotor function, and memory, amongst other things. Smaller-sized kibbles make this puppy formula way more manageable on smaller jaws. Here’s a chicken formula for fast-growing small puppy breeds of up to 20 lbs such as Yorkies, Chihuahuas, and Pomeranians. 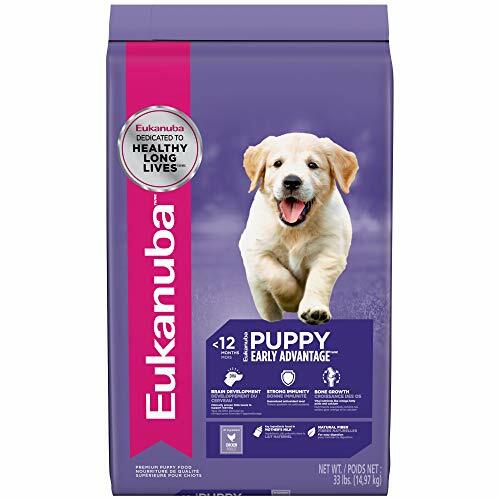 Eukanuba don’t believe in feeding loads of vegetables to dogs, so they’ve made sure to put plenty of supplements in here- like A, E, C, D, and a whole range of those energy-regulating B Vitamins. As with the other two foods, this one’s not gluten-free, and it contains by-products that are from chicken. If you haven’t got a gluten-intolerant small puppy, you’ll find that this formula’s a perfectly awesome source of minerals, healthy vitamins, and DHA. There are great amounts of protein and fat, which are optimal for smaller, and even toy, puppy breeds. Multiple sources give your puppy up to 9% protein in this soft, wet dinner. There are veggies in here- carrot, spinach, and tomato- all natural sources of vitamins, yay! Because each opened can will last just fine for up to three days in the fridge, we reckon this is a pretty darn economical deal, for a wet puppy food! We really like this soft puppy chow! It’s also a complete puppy chow that you’ll be able to feed your little one right from the moment he starts weaning, all the way up to adulthood! Or…should we be saying adult doggyhood instead? Since the beginning of this review, we’ve been so excited to introduce this special formula just for adult Labs. We think it’s just stellar every single time we review a brand that makes breed-specific kibbles and chow, and here’s a great chicken meal especially for our Labradors! Vitamin E will act together with zinc for those incredibly sleek coats that make Labs so gorgeous. Milled by-products in this one, although rather than being used simply as fillers, they’re a source of both chondroitin and glucosamine for joint health- which is crucial for larger breeds. What do you reckon? There’s a whole host of common big dog problems addressed by the ingredients and kibble structure in this blend, like joint and dental health. Not bad at all! Adult Rottweilers, like Pit Bulls, have a whole lot of lean muscle that they need to maintain each day. And that means protein’s an important facet when you’re picking out the perfect dog food for your best friend. Calcium’s at a minimum of 0.95% for strong doggy teeth. 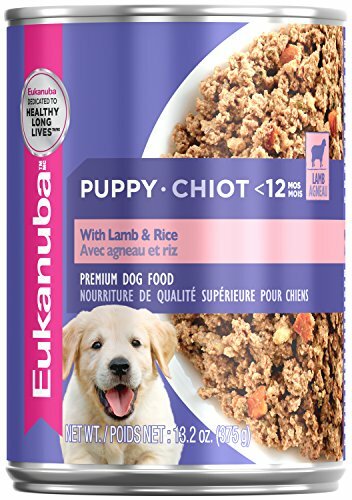 As with the other formulas and recipes in our Eukanuba dog food reviews, this product isn’t free of either grains or by-products. 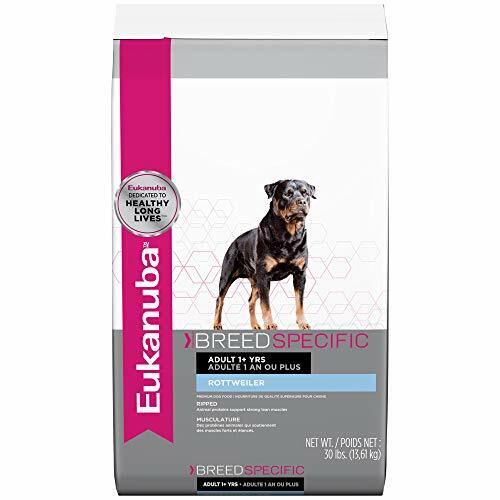 If you’re comparing the different breed-exclusive formulas as closely as we are, you’ll notice that Eukanuba’s recipes are really quite tailored to the different protein requirements of each dog breed’s precise needs. We like that there’s a greater protein content in this Rottweiler kibble and that’s why we put it in our list of the best dog food for Rottweilers. Here’s a blend for seriously energetic grown-up dogs of all sizes and shapes. Working dogs, too! Don’t get too confused if you can’t imagine your Chihuahua pulling a sled or farming the land, because it’s designed for the higher energy demands of pregnant and nursing dogs too. Vitamin E promotes lovely, gorgeous coats. Not free of either milled by-products or grains, so not suitable for dogs with an aversion to gluten. Technically, this formula’s even fine for puppies, given that it’s got an AAFCO seal of approval for all stages of doggy life, has higher protein, DHA, and fat. So, it’s incredibly versatile, really. Four out of five stars! There’s no one right answer, unfortunately. Each and every puppy and dog is unique in terms of their breed, average daily activity, size, and body mass, among other things. The best place to start when you’re thinking about how much to feed your dog is the feeding guide on the side of the package. All the puppy and dog foods in our Eukanuba Dog Food Reviews have excellent instructions that you can adapt to suit your best friend’s energy requirements. A more energetic, playful and intact male dog who loves to run around for over 60 minutes each day will require more calories, and therefore healthy dog food than a sedentary female, for example. We have blog page, which describes this problem. A good way to know if your puppy or dog is over- or underweight is to compare their physical figure against a body condition scoring chart, and you’ll be able to find these online or in your vet’s office. A score of five is ideal, as this is in the middle of the continuum. Dogs with a body condition score of five will show an ‘hourglass’ shape if you look down at them, and you’ll be able to feel their ribs when you gently press against them. A dog with a body condition score of less than five will be underweight, and signs of this will include very prominent ribs and a protruding pelvis. To be on the safe side, it’s always a nice idea to take your dog for regular check-ups, where your vet will be able to weigh them and let you know if anything’s out of the ordinary. Please do remember that these general rules won’t always apply to every single breed, however, because as we noted, every dog is unique. Greyhounds and Whippets, for instance, are two good examples of breeds that will not exactly conform to the body condition scoring system, as they will have prominent ribs even at a body condition score of five.